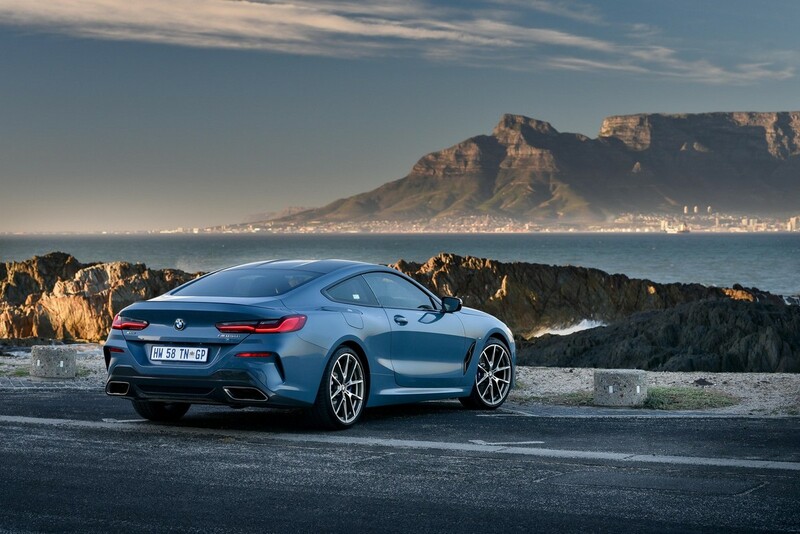 It’s been a while since an 8 Series has been around, let alone in this part of the world. 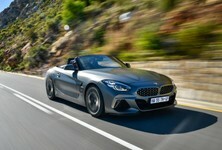 Has BMW pulled off a satisfactory revival of an iconic nameplate with the introduction of its G15-generation grand tourer? 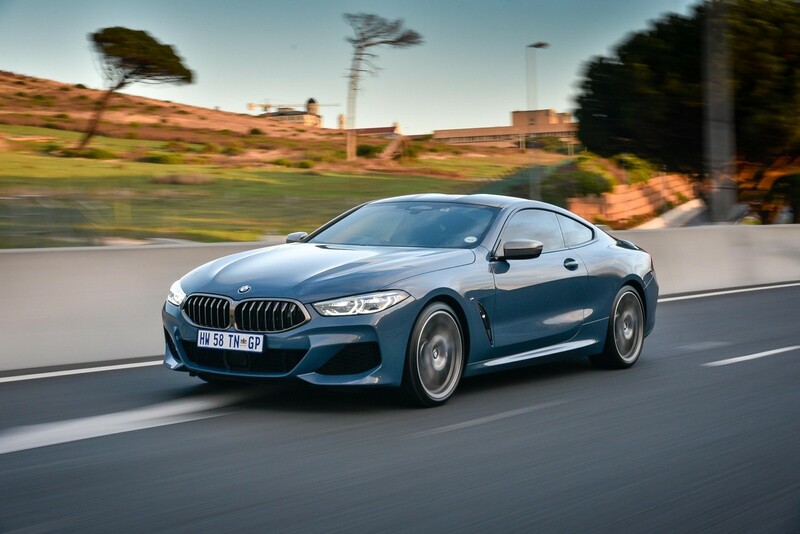 Ashley Oldfield drove the Bavarian first-class coupe around the Western Cape’s best roads to find out. 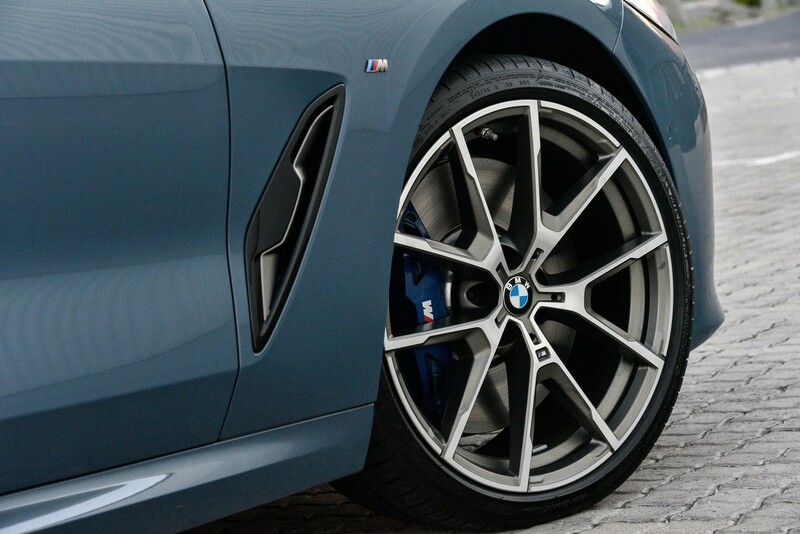 The number 8 might sound greater than 7 (>7) to you and I, but in BMW-speak, 8 is not more than 7. To summarise: "Nothing is more than 7." Therefore, the new 8 Series is not BMW’s halo car, that remains the domain of the 7 Series first-class sedan. 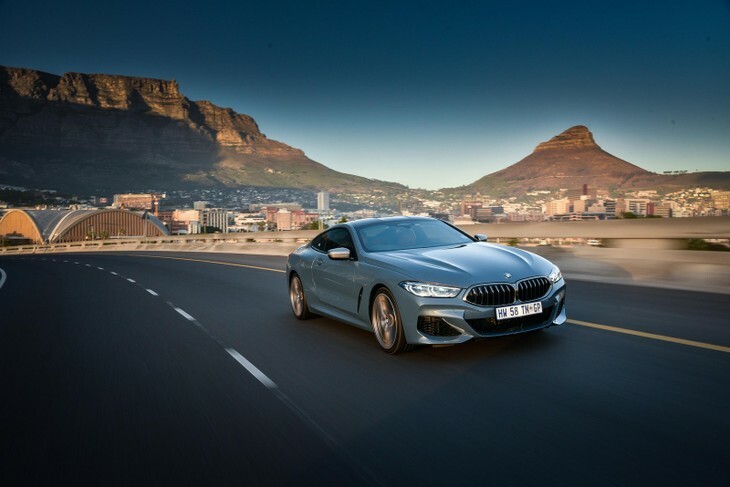 The 8 Series effectively replaces the 6 Series coupe/convertible/gran coupe – it’s the Munich-based brand's GT cruiser with a strong performance bent and a keen focus on design. 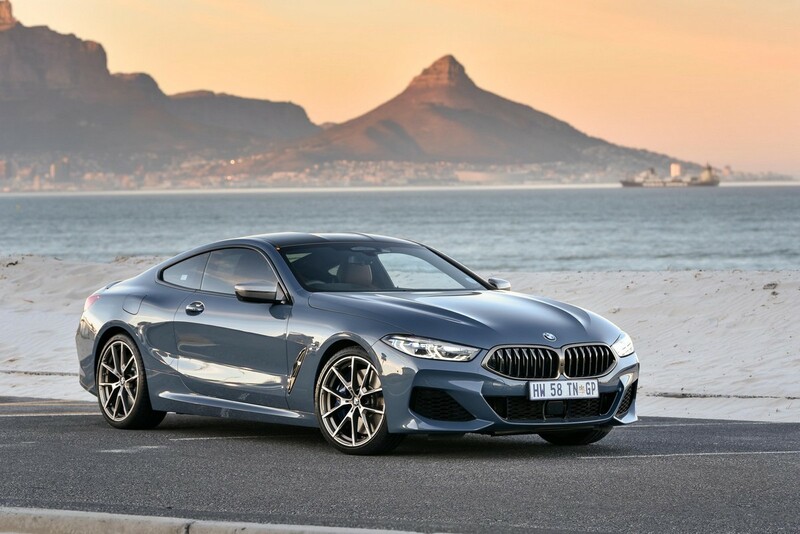 The 8 Series badge is back. Long bonnet upfront? Check! It’s a 2+2 seater, but in such a way that the rear seats are really just there to reduce boot space and fill the owner's head with sordid slasher-flick fantasies of sawing off aft passenger’s legs in anticipation of squeezing their mangled bodies onto the 8's rear cushions. South Africa, for the moment, will receive just one model – the M850i xDrive – before the convertible 850i and 850i Gran Coupe join the fray, followed by the launch of a monstrous M8 flagship later in 2019. A brand-new V8, that’s what! 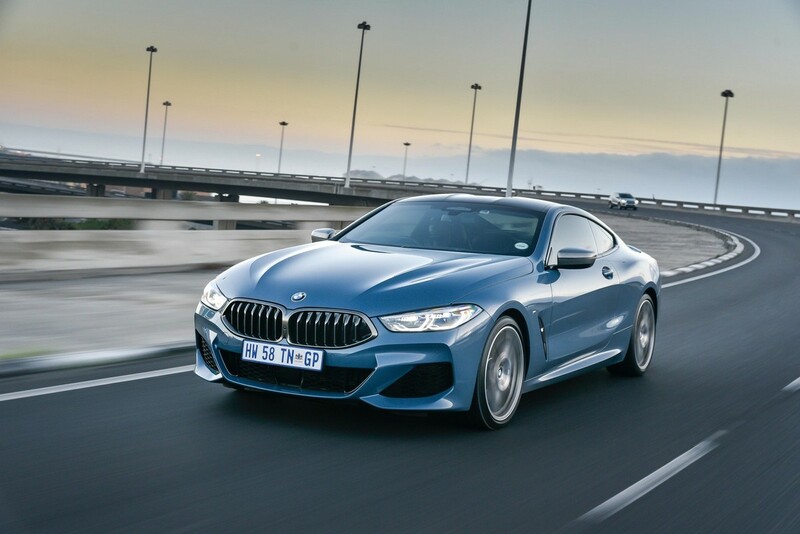 The 4.4-litre V8 makes its first appearance in the 8 Series accompanied by 2 turbochargers nestled between the deep vee (yes, I just wrote that). The unit pumps out hefty peak outputs of 390 kW and 750 Nm of torque, the latter of which is available from just 1 800 rpm and accessible all the way to 4 600 rpm before the twist starts to taper. It feels immense when you plant your foot flat. 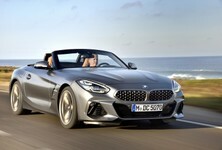 The grunt is relentless as the M850i surges forward with the poise and balance of a low-slung sportscar. 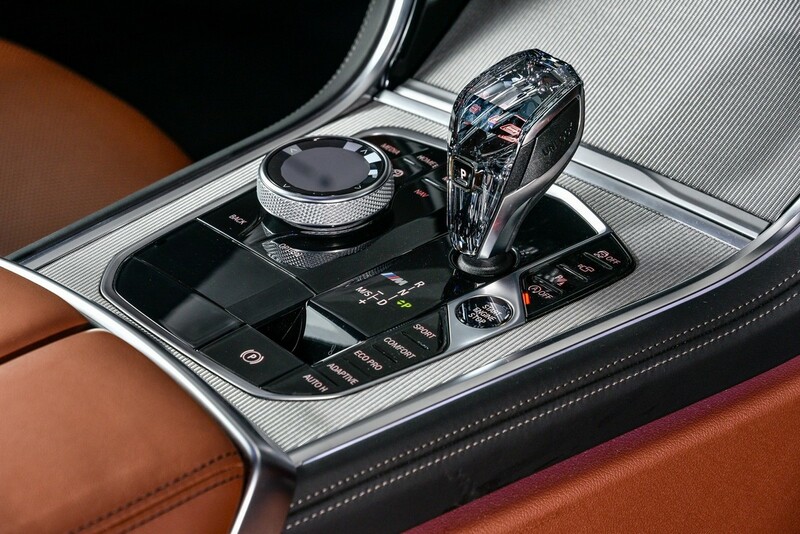 An enhanced 8-speed automatic ‘transmission takes care of the shifting and it’s an excellent match for the new V8. At low speed, it’s smooth and imperceptible and when pushing on in sportier modes (or in manual-shift mode) it’s very responsive, especially coming down the 'box. 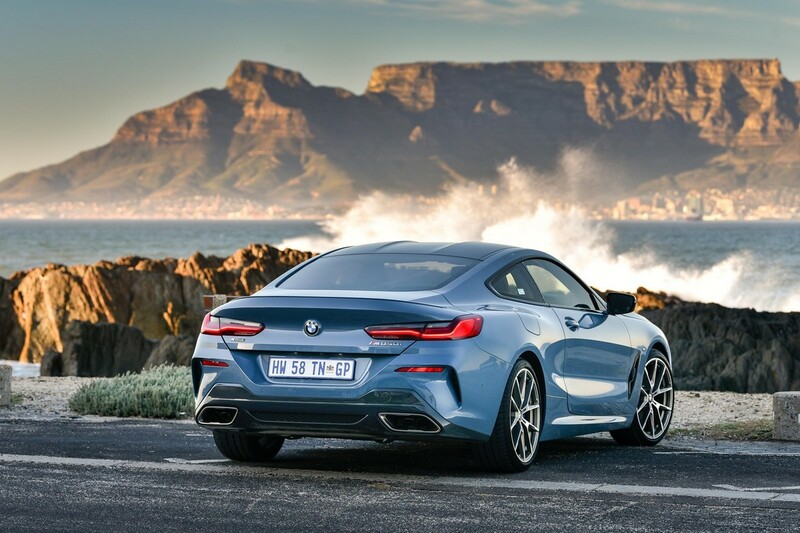 The 850i gets a brand new twin-turbo V8 and all-wheel drive to keep it steady. 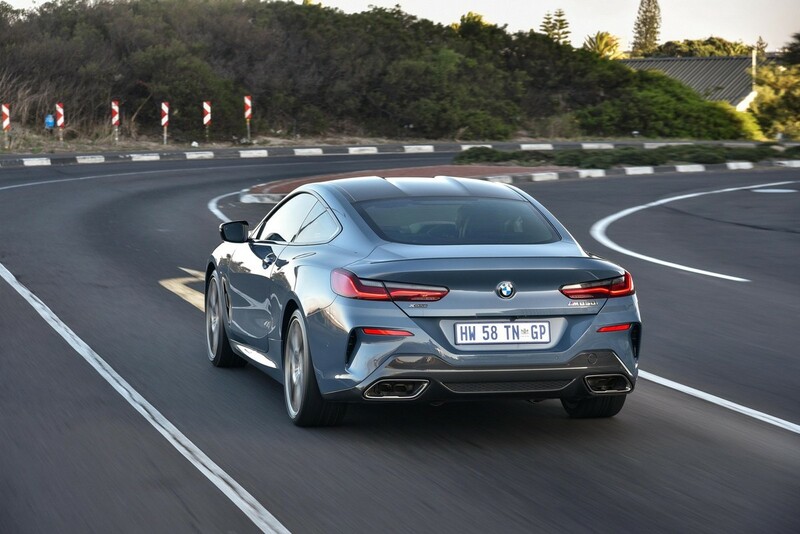 Zero to 100 kph is brushed aside in just 3.7 seconds and that only begs the question: how much faster could the M8 be than this M850i? 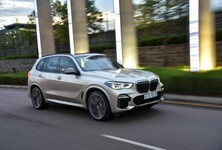 It looks big –and is big – but BMW has imbued the 8 with chassis and electronic trickery to make it nimble and quick-footed. It’s sort of got the build of rugby flanker, but the sidestep of a winger. 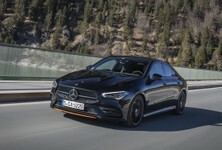 It can do this thanks to a combination of adaptive M dampers that react quickly to feedback from the road, a limited-slip M differential at the rear, which allows torque to be sent to the wheel(s) that need(s) it the most, and the active steering system. 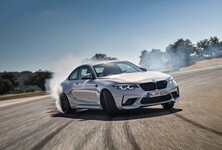 The active steering system really makes its presence felt. 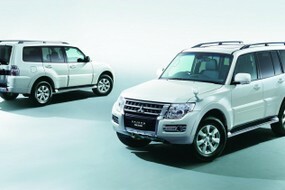 Simply put, it’s a rear wheel steering system that makes the 8 more agile at low speeds and more stable at high speeds. On a tight and twisty pass, you can feel the rear rotate the car for sharper turn in and more mid-corner grip. Built to eat up freeways but still agile enough to confidently tackle a tight Alpine mountain pass. 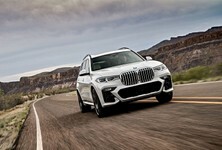 The active steering then combines with xDrive (all-wheel-drive) to give you that surety that when you stab at the throttle the 8 isn’t going to come unstuck easily. 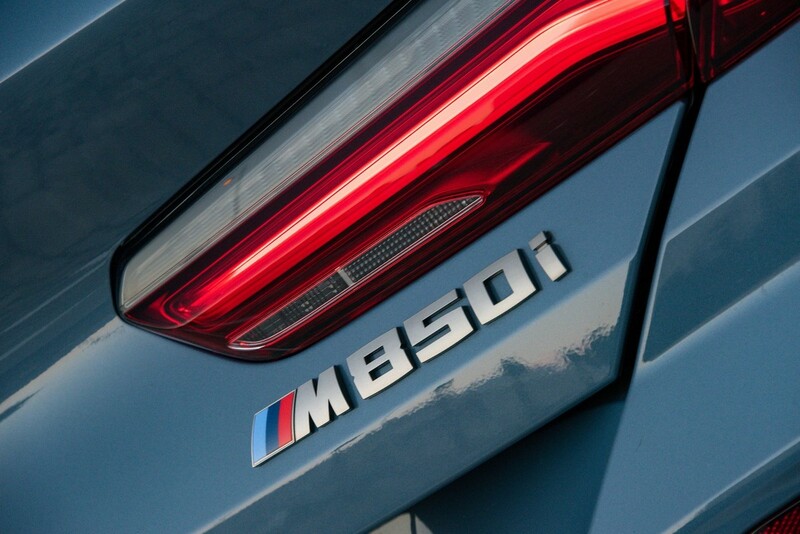 The M850i has been configured as a rear-biased all-wheel-drive car, but bolstered by the near unyielding grip of a 50/50 split system. Is it impressive on the inside? Lots of tech and plush materials on the inside. The seats are supportive and cross-stitched on the backrest to exude that premium look and feel that is part and parcel of the time-honoured grand-tourer passenger experience. There’s a wireless charging dock up front and a few hidey holes to store keys and smaller items. 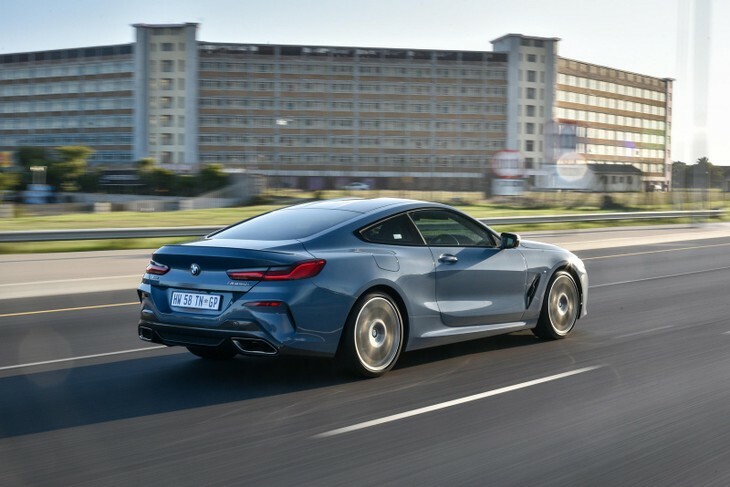 The centre console houses all your control buttons for the drive modes, where you can select from numerous settings that adjust the M850i's drivetrain, suspension and exhaust sound. The iDrive rotary controller is also stationed here, but you have the option of using the touchscreen infotainment or iDrive wheel. 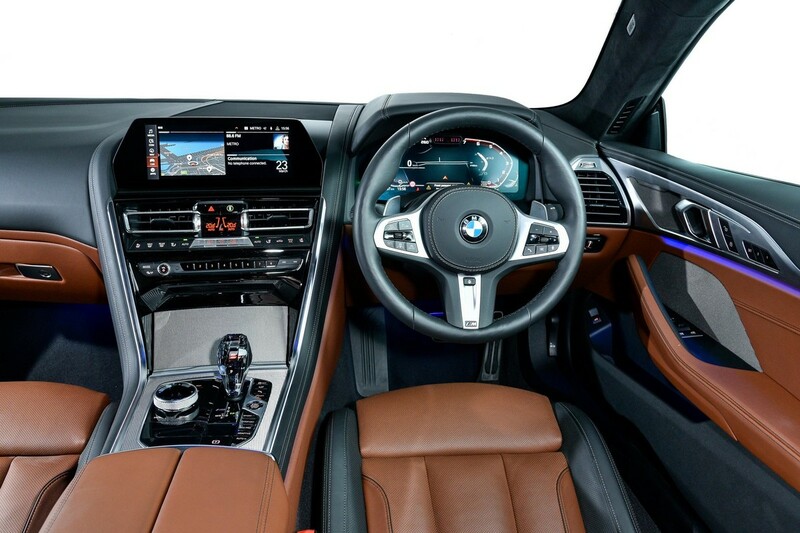 It’s a high-tech interior in which all the individual bits are well-placed and ergonomically friendly, but the cabin execution stops short of eliciting exclamations of "Wow!" when you climb inside. It’s not as design-oriented as the 8’s bodywork... and it’s an area that can definitely be improved. 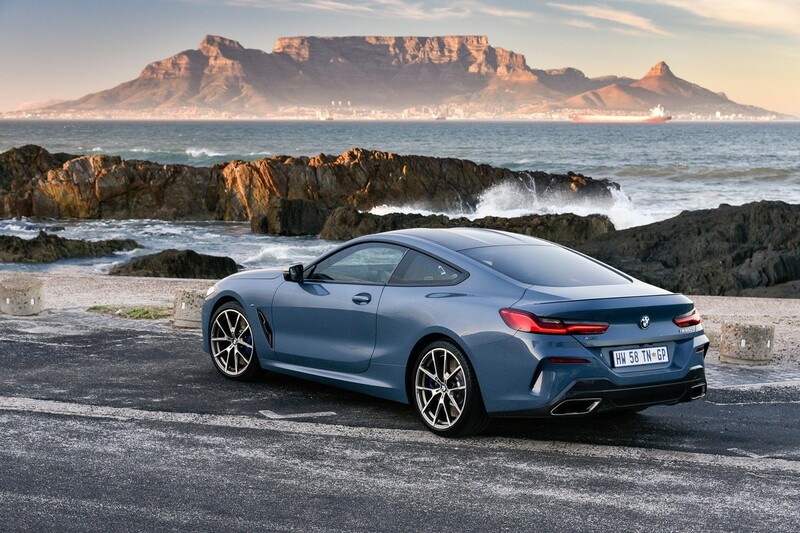 The new 8 is both exciting to look at and to drive. 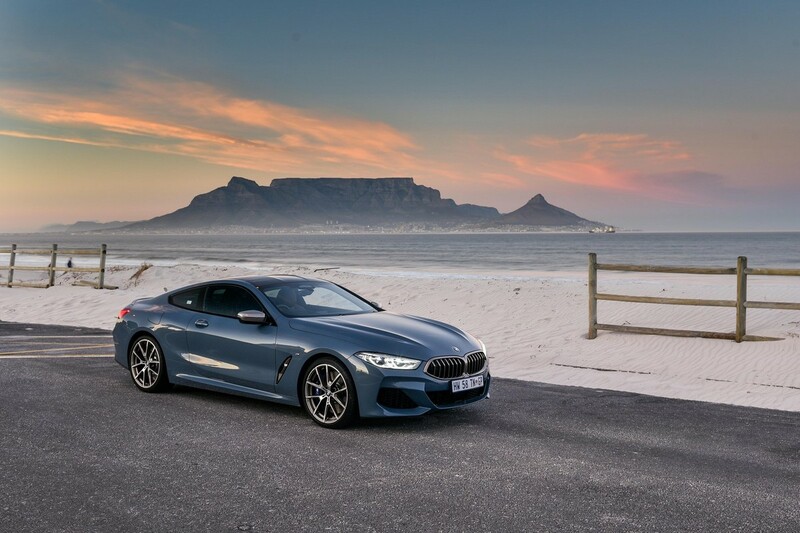 It was a tough task to complete, but the new 850i xDrive successfully hits the sweet spot between grand tourer and sportscar. It munches miles easily, comfortably and in classy style. If you send it through a set of tight bends, the big 8 belies its size; it snakes its way around bends like it believes it's a track-day Lotus. It’s light on its feet and backed by a prodigious V8, which is an absolute beast in a straight line. It doesn’t really have any rivals either. The S-Class Coupe is the closest match, but it leans more towards consummate cruiser than the dual personality of the 8. 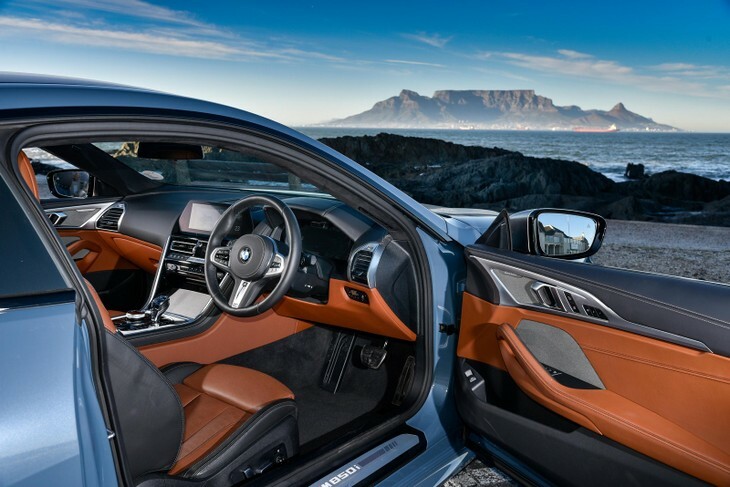 The interior, while arguably the absolute best that BMW currently has to offer, could do with a bit more of a wow-factor in its design and appeal, but you’re not going to be left wanting for any tech or connectivity options. 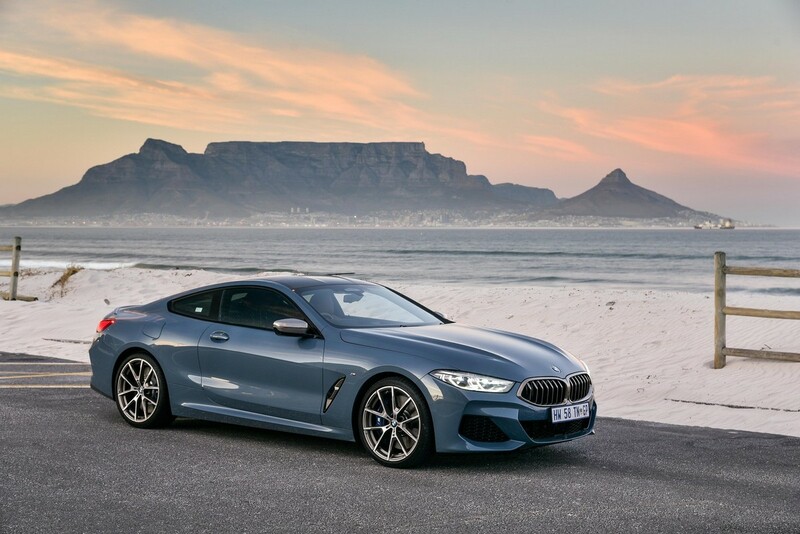 The 850i xDrive is not cheap. 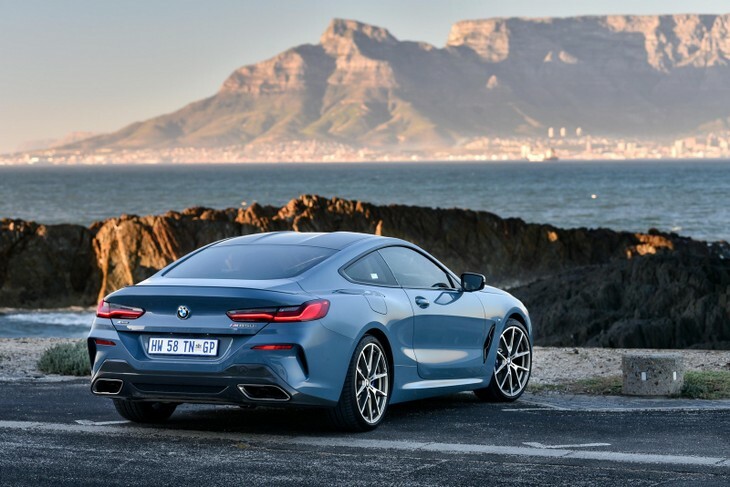 At the best part of R2 million you start to get close to prestigious marques in terms of asking price, but right now, this is the best and most stylish BMW money can buy.